Cheaper Gadget Insurance ~ Where to get it? Isn’t it amazing how technology moves on within a generation? I remember when I was younger the first day a kid brought his new pay-as-you-go mobile phone into school, it seemed a bit pointless at the time as he had no one to call but it wasn’t too long before mobile phones were everywhere. Nowadays our houses are filled with every gadget imaginable. I read this article on The Broke and Beautiful Life the other day where Stefanie talked about her kindle falling – Well being knocked – out of the window by her boyfriend during a period of mild intoxication and she was asking, who should pay for things when these inevitable accidents take place? Well this just goes to show the importance of gadget insurance in the modern world. These things are not at all cheap to replace so gadget insurance is a must. If you don’t shop around for cheaper gadget insurance though then you could find yourself paying way over the odds, especially if you have unintentionally found yourself paying out on separate insurance policies for all of your different gadgets over the years. Don’t be too disheartened when you find out you’ve been paying too much for gadget insurance though. Instead, take solace and think about all the money you’re going to save in the future by getting gadget insurance for less. So where can you find cheaper gadget insurance?? Here are a few sites you should take the time to compare. Due to the TV campaigns Protect Your Bubble* is probably the one of the most well known gadget insurers on the market. They protect iPhones, iPads, Laptops, mobile phones, tablets and the list goes on. Best of all they also offer multi gadget insurance so you can save even more money by insuring all of your gadgets together on one policy. MyGadgetBuddy.com* is another big player in the gadget insurance market and it’s certainly worth getting a quote from them or you could well miss out on a cheaper deal. They’ll cover you for accidental damage, theft, loss, malicious damage, fraudulent calls and they’ll also cover your gadgets if you take them abroad. I should state that Protect your Bubble also offer many of these features so it’s important to spend a bit of time comparing the features of each policy to find the right company for you. A little less well known perhaps Gadget-Cover.com* has been insuring gadgets and mobile phones since 1995 and are by no means a new player on the market. They aim to have claims processed within 48 hours, don’t tie you into a long term contract and they also offer family cover so there’s no need to fight over who broke what. Their policies also offer unlimited claims but as with all things, I’d check the fine print to make sure these features are as straight forward as they seem. After years of taking out over-priced mobile phone insurance policies that didn’t even cover me for the most likely accidents, I stopped signing up to for network mobile phone insurance years ago. I figured I was better off just putting the money into a savings account each month. As technology has progressed and gadgets have become much more expensive to replace though, I think gadget cover is now well worth a second look. It’s also worth checking your home insurance policy to see what you’re covered for and more importantly, what the excesses are in the event of a claim. Finally, if you have some kind of premium bank account, be sure to check the special features of that account to see if they include cheaper gadget cover as part of the account or as an add on feature. Worldwide Gadget Insurance – Who offers the best deal? 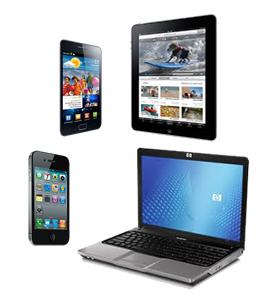 Multi Gadget Insurance – Who Offers the Best Deal? Can Women Still Get Cheaper Car Insurance? Save Money By Getting Cheaper Mobile Phone Insurance! 12 Responses to Cheaper Gadget Insurance ~ Where to get it? I have never purchased insurance for any of my gadgets (not even the regular home appliances). They usually work OK until their guarantee expires, so I never had a need for an insurance. It’s more the breakages that I’m interested in it for dojo. I have two young boys, the youngest of whom managed to snap my laptop in half last year. If only I’d had it then! I’ve never gotten insurance for a piece of technology before, but I can see where it would be really beneficial to do so. I know folks like my father definitely need it – he’s dropped two or three phones in the water trough out on their little farm (thankfully this was quite a few years ago, before he got his hands on a smartphone – the old flip ones were a little cheaper/easier to replace!) and isn’t super careful with his gadgets. I’m not sure he understands how fragile they can be! I’d imagine people with kids would want to consider insurance, too.. like you said, avoids those arguments about who is at fault for breaking something when an accident happens! Yep my boys can be wild at times Kali! I shouldn’t leave things within reach but you inevitably do. I can also relate to dropping them in the water too, I’ve done that. I remember talking to a friend once who was on the phone whilst working so he had it between his ear and shoulder, he suddenly stopped talking for no apparent reason. Turns out his phone had slipped off his ear and gone clean down a drain grid without even touching the metal bits, it’s not a cheap fix when you have to fork out hundreds to replace one. If you get a family policy to cover everyone’s gadgets then I think that’s even better. Honestly I didn’t know that there is a gadget insurance, thanks for informing us. But I think it’s not available here in the Philippines. Not sure on that one either Clarisse! Someone told me years ago to never buy gadget insurance, and I never have, and I’ve never needed it. I can see how some higher risk people might need it, for instance, if you travel lots with your gadgets for work or something, but by and large I think it’s unnecessary. Hey Laurie, I wouldn’t buy it from a retail store because you can get it much cheaper elsewhere. From past experience though there have been times when I wish I’d have had some sort of cover in place. I’ve always bought apple care for my Mac because I’ve always wound up needing it, but it’s incredibly expensive and won’t cover anything after 3 years. I’m not sure if there are cheaper options available but if you’ve used it a lot then I’m guessing it was worth the investment. Just goes to show not all insurance is bad. Well, I have never found reason to buy gadget insurance…probably because I haven’t experienced the hassle of losing one. As you point out though, devices have become more expensive, more valuable and a crucial part of our lives, having them insured can offer one an unparalled peace of mind. Still, I think the available premiums for gadgets are a bit pricey! Yes Simon, I’d agree that everyone should weigh up the cost of Gadget insurance with the potential cost of breaking or losing one or more of your gadgets and make their own call on whether it’s worth it for the peace of mind it can bring.